Rasskaz-provokatsiya (The Story Provocation) is the second in the series of unconventional Russian language textbooks for elementary/preintermediate levels (A2-B1). The books, written in the form of fun to listen to detective lines, follow the continuing story of George, a Guadeloupian banker embarking on a journey who sees his day-to-day life set against a series of most peculiar events. 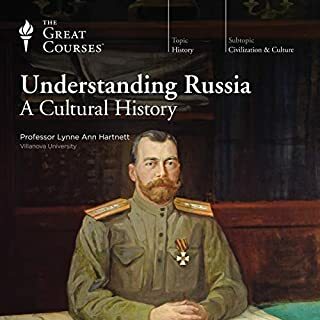 In the third book, Rasskaz-kanonizatsiya, there also is a second historical storyline, following a Russian professor who fled his country after the 1917 Bolshevik Revolution. 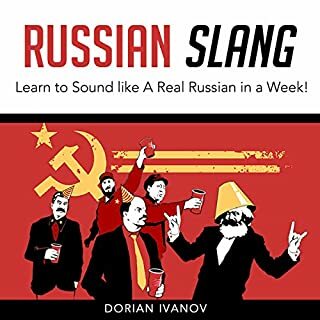 Learn Russian: Must-Know Russian Slang Words & Phrases by RussianPod101.com is designed for beginner-level learners. You learn the top 100 must-know slang words and phrases that are used in everyday speech. All were hand-picked by our team of Russian teachers and experts. Want to immerse yourself in the Russian language and speak at a native level? Curious about Russia and the culture? Then this audiobook is for you! With Advanced Russian, you get Russian-only lessons and learn the all about the country, culture, history, folklore, arts and popular destinations. Along the way, you'll pick up sophisticated expressions and advanced grammar. 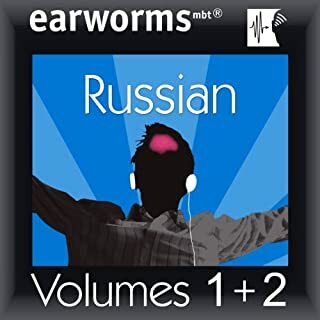 This audiobook is for people who are interested in learning Russian. It is an indispensable list of the most common words translated. In this audiobook are 2,000 basic words necessary for communication. Having mastered this amount of vocabulary, you will be able to read books in a foreign language, as well as communicate in a variety of situations. 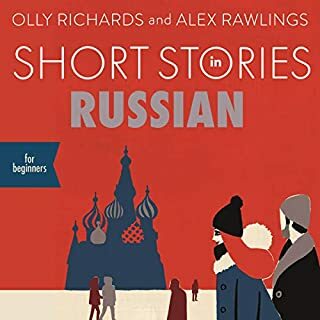 Whether you want to travel, communicate with friends or colleagues, reconnect with family, or just understand more of what's going on in the world around you, learning Russian will expand your horizons and immeasurably enrich your life. The best part is that it doesn't have to be difficult or take years to master. Thirty minutes a day is all it takes, and we get you speaking right from the first day. Pimsleur courses use a scientifically proven method that puts you in control of your learning. We will have you speaking Russian in no time! Lingo Jump's parallel audio language learning system makes it easy to learn languages at your leisure. Whether you're relaxing or on the go, our simple, clear, and fun audio lessons help you learn through imitation of our speakers. Immerse yourself in a new language with confidence - we're here to get you talking using phrases that you'll learn with ease through parallel audio. Do you want to learn Russian the fast, fun and easy way? Then this huge audiobook compilation is for you. Learn Russian for Everyday Life is for people who want to finally speak and use real-life Russian. You learn the must-know conversational phrases, questions, answers, social media phrases, and how to talk about your everyday life in Russian. All words and phrases were hand-picked by our team of Russian teachers and experts. This audio course, Russian Language for 6th Grade covers the main topics in the Russian language curriculum for sixth graders. These are short stories of one of the greatest writers in the world, Anton Chekhov. For more than 100 years, his humor and philosophy have surprised readers by their depth and brightness. These stories are for Russia and Russians, as much today as they were 100 years ago. 'Rasskaz-sensatsiya' (The Sensational Story) is the first in the series of unconventional Russian language textbooks for elementary/pre-intermediate levels (A1-A2). The book is written in the form of fun to listen detective lines, which follow the continuing story of George, a Guadeloupian banker embarking on a journey that captures his day to day life set against a series of most peculiar events. In the third book, 'Rasskaz-kanonizatsiya', there is a second historical storyline, following a Russian professor who fled his country after the 1917 Bolshevik Revolution. His life crosses with George's. Based on years of his language teaching experience, Ignaty was keen on writing a series of stories that would teach useful vocabulary and grammar after some of his business clients complained that existing textbooks were boring and had no relation to real life. His textbooks are fascinating detective stories with characters from different cultural backgrounds meeting in Guadeloupe, Russia, and Europe. They live, love, work, and relax. And, most importantly, they fight the world's evil, show exceptional ethics in both life and their work, and give us a better understanding of what is a kinder and ethical life.